Thereâs good news on the horizon for the hard surface flooring industry. According to a recent study by The Freedonia Group, a Cleveland-based research group, U.S. demand for hard surface flooring products â wood, laminate, ceramic tile and vinyl â is projected to increase 4.6% annually through 2013, reaching 9.6 billion square feet, for an estimated value of $12 billion. Demand includes domestic as well as imported products. That news is especially heartening in view of the decline the last few years of laminate and wood flooring. According to Freedoniaâs Hard Surface Flooring study, laminate flooring will show the greatest growth opportunities, with 11.3% annual growth projected between 2008 and 2013, followed by wood at 5.6% and ceramic tile at 4.5%. Increased style options are another driver of laminate flooringâs increase in popularity. With improvements in printing technology, such as embossed registration and texturing, laminate flooring can offer a cost-effective product with the look and feel of real wood or tiles. But although laminates can mimic the look of most species, many homeowners still prefer hardwood flooring. According to information on home remodeling from the U.S. Census Bureau, in 2007, 1.7 million homes spent more than $3,000 each on wood flooring remodeling projects, while 508,000 homes spent that same amount installing laminate flooring. The green movement is showing a slight impact on flooring choice. According to the Freedonia study, products such as bamboo, cork and eucalyptus are gaining popularity in residential and commercial projects looking to gain points for their sustainable product choices. âThe demand for âgreen flooringâ products is hard to predict,â Baumgartner says. âWhile these products receive a lot of attention in the press and among environmentalists, it is unclear whether the market is really willing to support them. âTo the extent that the flooring looks good, feels good and can be produced at a competitive price, it will be successful, whether it is âgreenâ or not. We did not put any numbers on any of these products, but we did say that we expect them to be growth niches,â he adds. The Lacey Act, which includes trees that are illegally harvested, makes it illegal to âimport, export, transport, sell, receive, acquire or purchaseâ these products. Phase III of the Lacey Act, which took effect on Oct. 1, requires a declaration of products including wood and composite panels listed under the Harmonized Tariff Schedule (HTS). According to the July 2009 market study Floor Coverings Industry by Catalina Research, the decline in the U.S. floor coverings market as a whole accelerated in the second half of 2008, and sales dropped at even sharper rates in the second half of 2009, which was greatly attributed to the domestic economic downturn and recession. 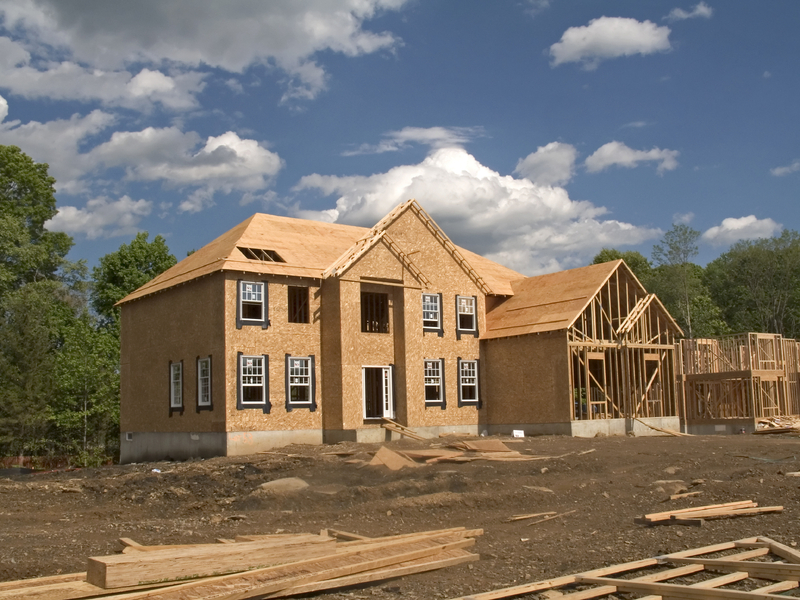 The drop in 2009 will be the fourth consecutive year of declining sales. For laminate flooring companies, times have also been tough, but many in the industry remain optimistic. Green building and sustainable practices are becoming more prevalent in a host of industries, and laminate flooring is seeing growing effects from this. Voss says this leaves a positive impact. âThe effects have been minimal, but consumer interest is growing as advertising of these product features and benefits is increasing,â he says. In addition to opportunities in regards to LEED, laminate flooring manufacturers see other opportunities â as well as challenges â ahead. The Great Recession has had an impact across many industries and the hardwood flooring sector is no different. Many companies have taken a survival posture and are reevaluating their business plans to identify ways to strategically reposition themselves for the upcoming year. Morgan says that there are always challenges, but he thinks that the companyâs growing network of distributors, adding a prefinished flooring product to its line and the companyâs state-of-the-art machinery will position it to take advantage of the economic rebound. Also having an impact on the hardwood flooring industry and providing additional pressure for some flooring manufacturers is the increase in Chinese imports. According to a study by the U.S. International Trade Commission released in 2008, Chinese imports account for nearly half of the U.S. market. Finkell acknowledges the impact of the increase in imports. âAlmost 50 percent of the U.S. market for wood floors has been taken over by imports, most coming from China,â he says. âAfter the recent Chinese stimulus package, prices of Chinese wood floors dropped by 20 percent.â He says that the playing field is not level and that it will be a problem for U.S. manufacturers. Despite the challenges perceived by some from the increased number of imports, other companies downplay the impact. 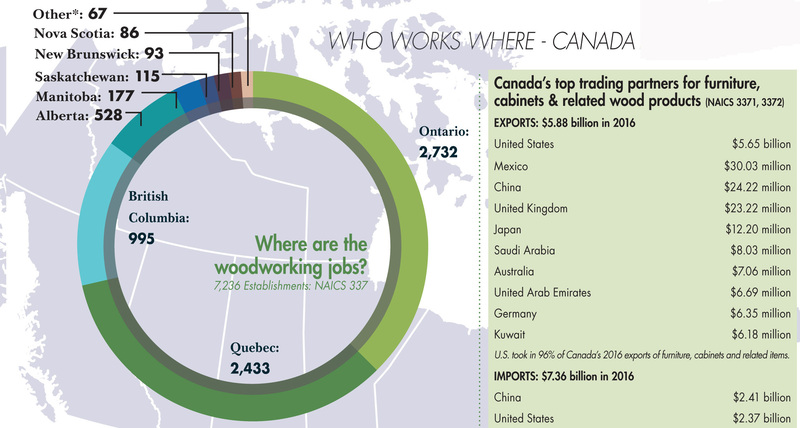 Where are Canada's woodworking jobs & how much do they earn?